Sudanese newspapers need an overhaul to restore credibility by putting a stop to unethical practices. Even if government restrictions on press freedom are lifted, journalism in Sudan could use a makeover. This type of coverage-for-hire is just one illustration of a glaring lack of ethics in Sudanese journalism. The payment for news reports, interviews and opinion columns in local newspapers is no secret. Corruption has become entrenched in everyday reporting to such an extent that it’s now the subject of public debate. Anonymous journalistAccording to a prominent newspaperman who wished to remain anonymous, a large number of publishers and chief editors are behind these unethical practices. Special interest representatives sometimes target individual journalists directly, away from the management. In the absence of a clear editorial policy on this subject, consent is usually granted to reporters to accept such invitations, even when it’s apparent the resulting articles may well resemble public relations handouts more than factual news articles. Chief editors usually sanction such junkets, the source explained, because the newspaper pays nothing to send a journalist into the field. The result is a rush of reporters into the arms of these parties that cover all their expenses,” he said. Two documented examples illustrate the deterioration of journalistic standards in the Sudanese capital. In March 2007, Khaled Fatehy, formerly with the daily al-Sahafa, accompanied a government delegation on a trip to northern Sudan. One of their stops was Kajbar, where the construction of a controversial dam project had recently triggered bloody unrest. Fatehy was later chastised for doing his job as he saw fit: reporting events the way they occurred. Fatehy said he felt ostracised by the officials, who eventually stopped speaking to him. The lesson that I’ve learned from this experience is that reporters should never travel with any party, because when it foots the bill, their ability to convey the facts freely and honestly is compromised,” said Fatehy. Some newspapers rate their journalists according to how closely they adhere to their employers’ editorial alliance with the governing regime, or a certain institution, company or individual. Those who stray can be arbitrarily dismissed from their jobs or forced to resign. Haitham Capo, chief editor of the daily FenoonIn one recent incident, the daily al-Ray al-Aam fired a number of its staff reporters. In a recent phone conversation, Mohammad Abdul-Qader, deputy chief editor, denied their dismissal had anything to do with their politics. Describing the 66 year-old paper as distinguished,” Abdul-Qader insisted that al-Ray al-Aam evaluated its journalists’ progress according to their skills, capabilities and potential. While he admitted to suspending the reporters, he refused to name the reason. He referred to the action as a reshuffle,” adding they represented different political backgrounds including the ruling National Congress Party, the left, and independent movements. Personal ties with members of the business community, political parties or other ventures often get in the way of factual reporting in Khartoum. At another paper, a journalist who did not want his name used said his chief editor regularly criticises his reporting staff while taking sole credit for the success of the publication, even though the paper is 16 pages in length. The role of the media is far greater than merely disseminating honest news. Journalists should personify professional integrity, a sense of justice and unbiased observation. 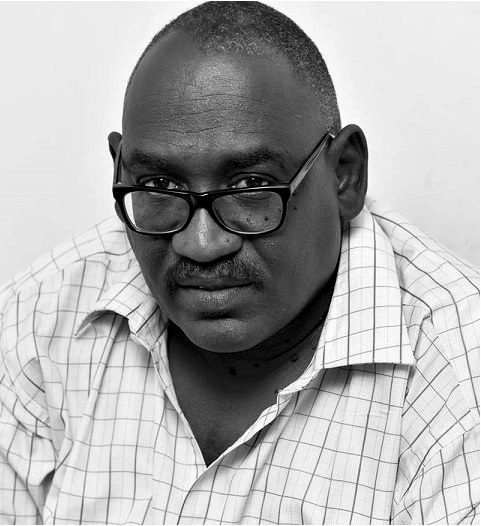 Instead, Sudanese journalism is mired in censorship and favouritism. Meanwhile, the truth about any given issue, which it is our job to uncover, becomes all the more elusive.